Ohhh Sassy this is gorgeous great colours & this image is just so cute. Hope your B/day was filled with nice surprises. Beautiful card, the flower is gorgeous. Awww this is so cute - gorgeous bright colours..
Gorgeous card Sassy - love the softness of the colours and Miss Anya looks fab!!! 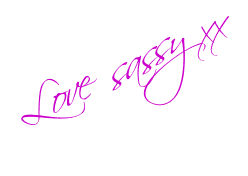 Really beautiful Sassy, i love the colour combinations its fab. you have been busy while I have been away sis, this is blooming fantastic really eye catching and certainly Sassy !! Stunning card Sassy, I just adore the image! Hi Sassy - thanks for making such a fabulous card with my choice of colours. Beautiful papers and details and a fabulously coloured Anya. Another fabulous creation. Now I do like this colour scheme. I love how you have used the lime green petals with the blue behind and finished off with small beads inside the petals.